Glenavy, which means ‘The Church of the Dwarf’, is a union of the churches of St. Aidan’s, Glenavy, St.Andrew’s, Tunny and St. John’s, Crumlin. It is said that St. Patrick built the first church at Glenavy, and his ‘angelic dwarf’ Daniel was put in charge. At some stage the church was dedicated to St. Aidan, (not the St. Aidan of Lindisfarne.) The first recorded date of a church is 1644. 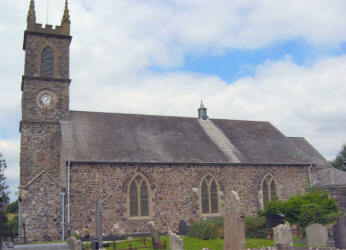 In 1812, the church was too small for the congregation, and it was taken down and a new one built and completed in 1814. The new building, which could accommodate 450 people, cost £1,125 to build. Extensive repairs were carried out in 1855, and a transept added in 1863. A fire damaged the interior on Christmas Eve 1937, resulting in all-new woodwork throughout. A new vicarage was erected in 1961. The present minister, the Rev. John Rutter, was instituted here on 2nd September 2004. Mark Reid, previously in Kilbride Parish, Doagh, was ordained in the Auxiliary Ministry for the Curacy of Glenavy at a service of Ordination in Lisburn Cathedral on Sunday 24th June 2007. Glenavy, which means the Church of the Dwarf, is a union of the churches of St Aidan’s, Glenavy, St Andrew’s, Tunny and St John’s, Crumlin. It is said that St Patrick built the first church at Glenavy, and his angelic dwarf Daniel was put in charge. At some stage the church was dedicated to St Aidan, (not the St Aidan of Lindisfarne). The first recorded date of a church at Glenavy is 1644. In 1812, the church was too small for the congregation, and it was taken down and a new one built and completed in 1814. The new building, which could accommodate 450 people, cost £1,125 to build. Extensive repairs were carried out in 1855, and a transept added in 1863. Parish boundaries were re-arranged in 1887 with the formation of the new parish of Stoneyford. On Christmas Eve, 1938, a very severe frost froze the pipes in the heating system, and the resultant fire completely destroyed this beautiful old church. Repair work was started immediately, resulting in all-new woodwork throughout, and the church was consecrated on 28th October 1939. A new vicarage was erected in 1961 and a church hall in 1983. The present minister, the Rev John Rutter, was instituted on 2nd September 2004. 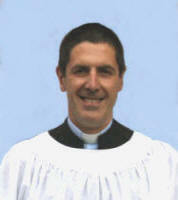 Mark Reid was ordained as curate on 24th June 2007.